In our Biology class we learn that we have two lungs, the left and the right. 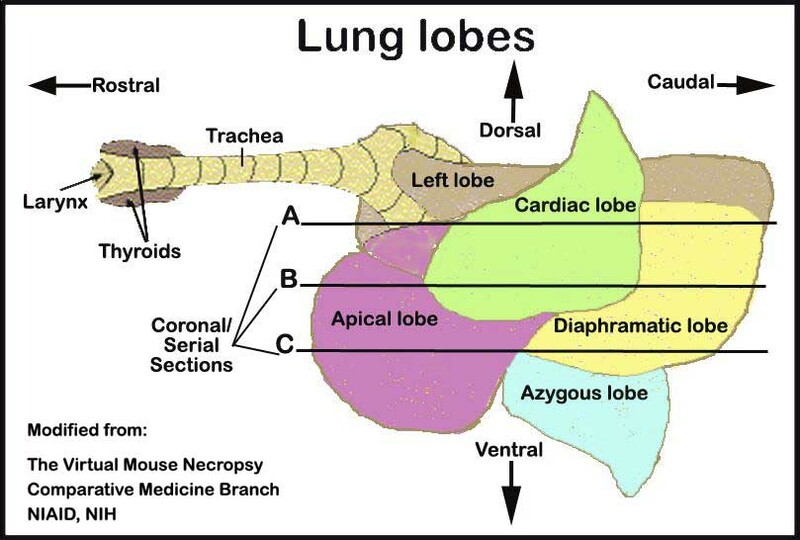 Looking deeper, we observe that the left lung seems to only have two lobes, while the right lung has three. The right lung may be shorter, but it’s wider than the left. Why does our right lung have three lobes and is wider than the left lung? The answer is to make space for the heart. The heart is not actually located in the center of the chest. It is nestled a bit more on our left side than the center. To make space for the heart, the left lung has to occupy less space inside the ribcage without hurting itself. However, the amount of air that our bodies needed to survive must not be sacrificed. To compensate, the right lung has to develop another lobe and must be wider so we can breathe easier. What else made the right lung develop 3 lobes? Aside from the heart, the lungs also have to make space for other organs inside the ribcage. One of these is the diaphragm which moves against the lungs whenever we breathe in and out. The diaphragm is dome-shaped and its bigger at the right end than the left. This is why the right lung is shorter than the left. The large side of the diaphragm also helps in pushing the bigger lung when we are breathing out. Breathing is not an involuntary movement because we can deliberately stop inhaling and delay exhaling. However, lungs are not muscles, but soft spongy organs. If we are not controlling our lungs, then what part of our system are we using to pause our breathing? The organ that helps us control our breathing is called the diaphragm. The diaphragm is a dome-shaped muscle that works with your lungs to allow you to inhale (breathe in) and exhale (breathe out) air. It is located right under the lungs. As you breathe in, your diaphragm contracts and flattens out. This allows it to move down, so your lungs have more room to grow larger as they fill up with air. Aside from the diaphragm, your rib muscles also help you breathe in by lifting the ribs up and outward to give the lungs more space. When it’s time to exhale, your diaphragm relaxes and moves up, pushing air out of the lungs. Your rib muscles become relaxed, and your ribs move in again, creating a smaller space in your chest. Can we make our lungs bigger? It is possible that the lungs will develop larger alveoli in swimmers to take in more air and to absorb oxygen faster than normal people. The wide chest of a swimmer is a result of the rib cage sticking out to compensate for a larger lung mass. The same lung development can also be observed in long distance runners and in people who lived in high altitudes such as in Tibet.